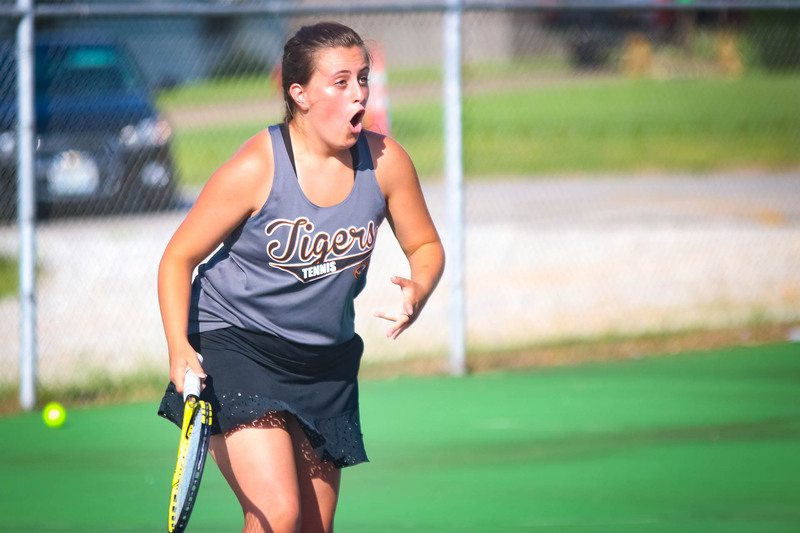 The Lady Tiger tennis team stayed unbeaten with a road win at Carthage Thursday, 8-1. (See photos below.) Republic won all three doubles matches, including a comeback win at the #1 doubles slot, to set up the victory. Kaitlyn Snyder and Jordyn Gianopulos stormed back from a 5-2 deficit to take the lead, then won an eventual tiebreaker to grab the victory. Republic improves to 5-0 overall and 4-0 in the Central Ozark Conference. The JV team won 9-3. – Last match Republic will play at Carthage Middle School. Carthage will open new courts at the high school in a few weeks.